Where to find Zephyr hotels near an airport? Where can I find hotels in Zephyr that are near tourist attractions? While there are currently no Expedia-listed hotels within a very close range of Zephyr, Expedia does offer a minumum of 3 places that are within a 20- to 30-minute drive from Zephyr. The Holiday Inn Express Suites Newmarket, Ontario, which is the nearest hotel, is located 18 kilometres (11 miles) from downtown Zephyr. 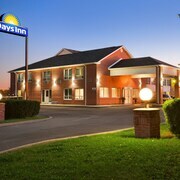 As an alternative, you could try the Comfort Inn Newmarket, located in Ontario, which is 18 kilometres (11 miles) away. 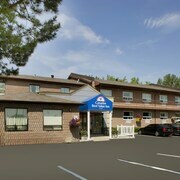 20 kilometres (14 miles) away from downtown Zephyr, is the Best Western Voyageur Place Hotel. 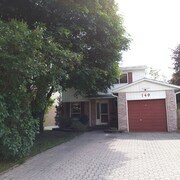 Alternatively, the Newmarket Inn is located 20 kilometres (13 miles) away. 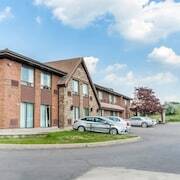 The Canadas Best Value Inn Richmond Hill as well as the Residence & Conference Centre - King City are two other recommended Expedia-listed accommodations in Zephyr. Why don't you take the time to spread your wings and explore the many other attractions to be found in Southern Ontario while you are here? 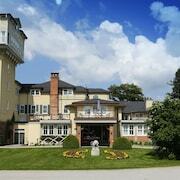 Check out Southern Ontario's traditional villages and churches or enjoy the region's beaches and coastal plains. Fun-loving travelers can enjoy skiing and cross-country skiing here. 60 kilometres (38 miles) from Zephyr you will find Toronto, where you can spend the day exploring CN Tower and University of Toronto. The The Ritz-Carlton, Toronto and Four Seasons Hotel Toronto are some of the Expedia-listed short and long-stay alternatives in Toronto. Or stay in Downtown Toronto, 60 kilometres (37 miles) to the south of Zephyr, where you can pick from the The Hazelton Hotel Toronto and Windsor Arms Hotel. If you're staying in Downtown Toronto, set aside some time to visit the Church of the Holy Trinity and Mackenzie House. If you enjoy sports and enjoy watching games you could make a trip to Air Canada Centre, which is 60 kilometres (38 miles) to the south of Zephyr. For tourists who are keen on staying nearby, make a reservation in the Shangri-la hotel Toronto or Trump International Hotel & Tower Toronto. 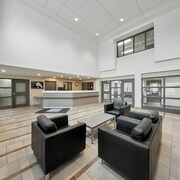 Pearson International Airport is a convenient airport, and is located 65 kilometres (39 miles) from Zephyr. Conveniently located hotel options include Sheraton Gateway Hotel In Toronto International Airport and Residence Inn by Marriott Toronto Airport. What are the most popular Zephyr hotels? Are there hotels in other cities near Zephyr? What other types of accommodations are available in Zephyr? Explore Zephyr with Expedia.ca’s Travel Guides to find the best flights, cars, holiday packages and more!